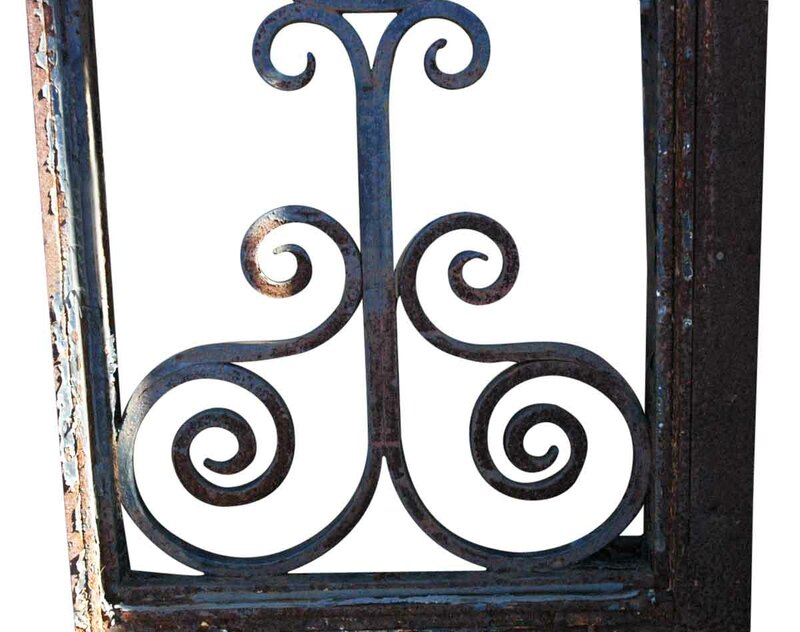 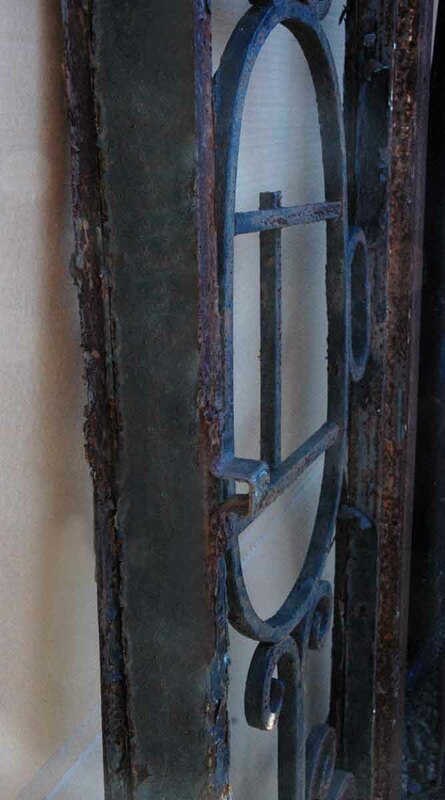 This is an original wrought iron door transom window from the turn of the century. 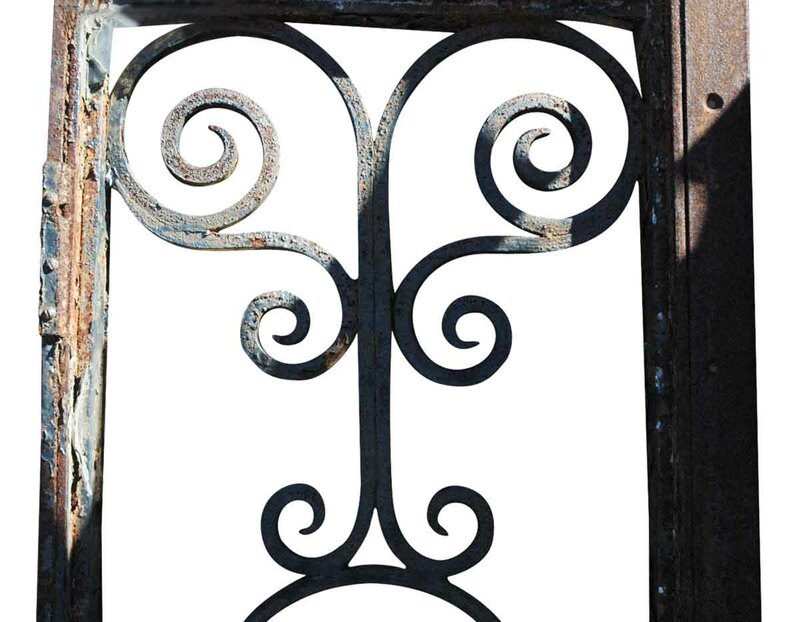 The iron is all original, except for the straight pieces added in the center of the oval design. 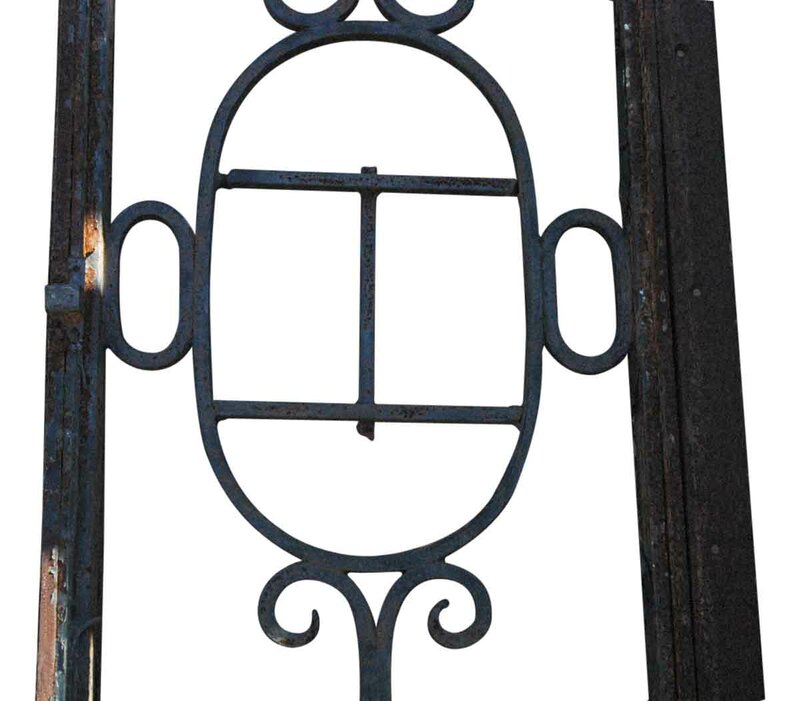 These can be removed by a welder.